Do you have old, worn tools that could live useful lives again? Do you find tools on council recycling days that you're tempted to pick up, but you don't know how to restore them? As a young child growing up in Beijing, Bernie Anner collected newspapers, tin cans and bottles from his local area and sold them to local peddlers for pocket money. During this time, he developed a fascination with the way in which some people create treasure from trash. His tin cans, for example, were sold to a local tinsmith who refashioned them into small teapots with lids, spouts and handles. After moving to Australia, Bernie worked in the hardware industry for 55 years, including 38 years in the (then) largest tool company in Australia. Actually, he still works in the hardware industry as he spends much of his time collecting useful objects (including tools, of course) from council recycling days and restoring tools and other items to their original condition. He also makes artwork from items that can no longer be restored. In his "spare time", Bernie also collects specific items that he repairs if necessary and donates to particular charities eg crutches for Cambodia. 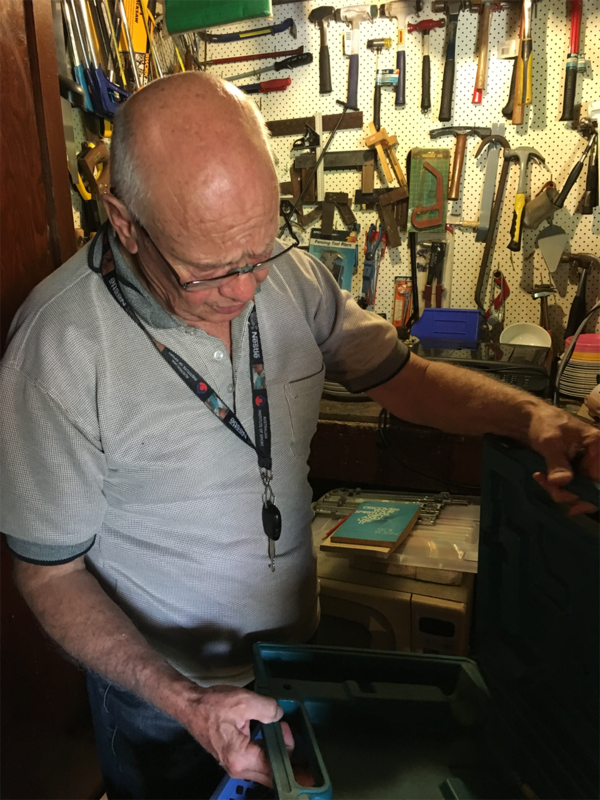 Bernie's talk will include entertaining stories about his many years in the tool / hardware industry - including how products are costed - plus tips on how to choose, maintain and restore tools. Free for members, small donation for guests. Please join us for supper after the talk.